Just before he passed away, the criminal case against Richard Pratt collapsed. Justice Ryan ruled that material prepared for the civil case could not be used. The prosecution then said they would not proceed because of Richard Pratt’s health. Quite ungraciously, they said they would have been successful anyway. The criminal case should never have been brought. That it was raises questions about the ACCC and its obsessive and unreasonable pursuit of Richard Pratt. When the other party to the cartel, Amcor, went to the ACCC, its CEO Russell Jones gave evidence of a conversation over lunch with Visy’s chairman Richard Pratt. It wasn’t as if he went in and wrote out a statement. There were several meetings and several drafts. The court was told this was to “develop” Jones’ evidence. Yet the head of the ACCC investigation team said he didn’t know Jones had changed his evidence. In the version used in court, Jones’ says he told Pratt that executives from the two companies had reached an arrangement to prevent “major market share shifts,” and Pratt had agreed to honour that. The ACCC then launched a civil action against Visy. They calculated that winning the case would be a feather in their cap, and would help their campaign to make price fixing crime. There was no guarantee the ACCC would win. Would a judge accept Russell Jones’ word over Richard Pratt’s? The better course was for both sides to agree on the facts and the orders proposed. In negotiations between them, Visy said Pratt would agree he had not put in place adequate supervision of his executives. He also agreed to pay massive pecuniary penalties. That should have satisfied the ACCC. But they insisted Pratt agree – to the letter – with Russell Jones’ “developed” evidence. Why? They had learned of other cartels in which Amcor was involved, but decided not to pursue them. Jones’ evidence had changed, and prosecutors are usually suspicious of people who turn “ Queen’s evidence”. A mediation was proposed before the respected former High Court judge Michael McHugh, downgraded on ACCC insistence to a “without prejudice” meeting with the Visy people in one room and the ACCC in another. Given that anything he said to Justice McHugh could not be used against him, what Richard Pratt said to the judge is critical to understanding what was going on in his mind. According to the judge, at no time did Pratt resile from his denial. McHugh broke the news that the ACCC wanted an unconditional surrender. Pratt was assured Visy’s media adviser could manage the resulting publicity. So he reluctantly agreed to make the admission, and a record of $36 million in pecuniary penalties was imposed. Some in the commentariat were calling for his blood. Notwithstanding an extraordinary record as one of the nation’s leading philanthropists and practical environmentalists, he was persuaded to return his award in the Order of Australia. 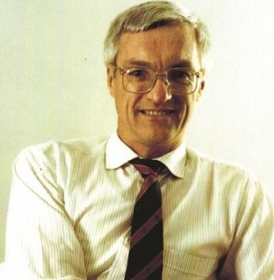 Although the media was awash with claims Richard Pratt had enriched himself through price fixing, the ACCC made no allegation that the existence of the cartel had caused any loss whatsoever to its customers. In fact increases in the price of cardboard containers at this time were among the lowest in the price index. With the civil case concluded, Richard Pratt was more than entitled to assume that the penalties, pecuniary and psychological, would have been the end of the matter. But before the civil action was over officials within the ACCC had already been considering criminal action against Richard Pratt over his denial of Russell Jones’ “developed” evidence. They knew if this became known, the settlement of the civil action would be jeopardised. An ACCC official warned the DPP’s office that there must be no leaks. The same day the Federal Court’s decision on pecuniary penalties was handed down, the chairman of the ACCC, Graeme Samuel, instructed the agency’s general counsel to consider criminal proceedings. The court was told the chairman’s message was “to get on with it.” As he was entitled to, Mr Samuel did not give evidence in the criminal trial. Sadly, Richard Pratt has left this world. The question must now be asked why the ACCC pursued him with such determination. Why did they demand his unconditional surrender? To what extent was this influenced by their campaign to change the law to criminalise such breaches? In doing so did they behave as the model litigant whom the government, and the public interest, require? Only an independent inquiry can answer these.